National security adviser John Bolton says President Trump is likely to have a short talk with Russian President Vladimir Putin when the two men meet in France next month. 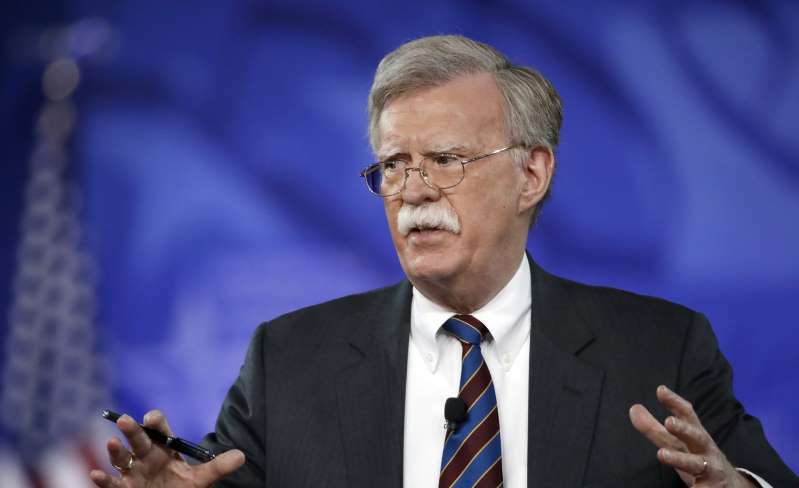 “It’s likely to be brief,” Bolton said Wednesday at an event in Washington. The White House has shared few details about the meeting, which will be the first in-person discussion between the men since a politically explosive July summit in Helsinki. The upcoming talks, announced last week, will take place as world leaders gather in Paris to celebrate the 100th anniversary of the ending of World War I. “It looks like there will be other opportunities,” Bolton said Wednesday, without elaboration. It’s unclear if Bolton’s plan for brevity will hold. In Helsinki, Trump and Putin’s private discussion lasted 30 minutes longer than scheduled and ran for two hours. Although forecasting a short talk, Bolton also said that "there are a lot of issues to discuss." "The [Intermediate-Range Nuclear Forces] Treaty is certainly one of them, we have got other arms control issues. But we’ve got their behavior in the Middle East, in a whole range of other areas where it’s important that we continue conversations on,” Bolton said. The top foreign policy adviser said that the meeting fits with a broader Trump vision for engagement. “The reason he has sent me twice to Moscow and to meet with my counterpart on other occasions is that he thinks that despite all the political dust in the air in this country about interference and collusion and so on, that it’s important to have sustained diplomatic engagement with them. That’s the reason he went to Helsinki; that’s the reason we’re still talking about it,” Bolton said. It’s not yet clear if Trump and Putin will jointly address reporters at a press conference in Paris. In Helsinki, Trump stunned his audience by appearing to accept Putin’s denial of meddling in the 2016 election to damage Democrats. Trump later said he misspoke when he said in Helsinki that "I don't see a reason why it would be” Russia. His initial words gave the impression that he rejected the conclusions of U.S. spy agencies and federal investigators, as a special prosecutor investigates whether his campaign colluded with Russia. It's unclear what officials will join Trump and Putin in Paris. In Helsinki, only translators were in the room.